“FULL dynamics-frequency SPECTRUM” is available on Banned Production. 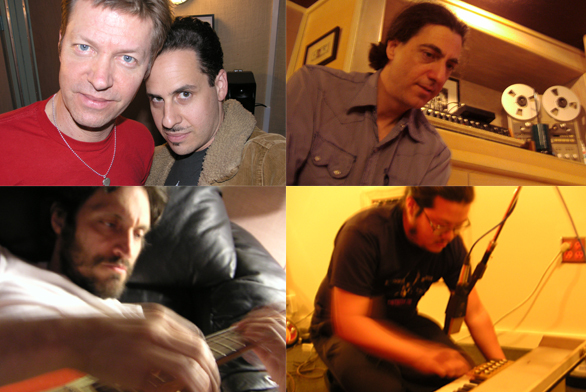 This 15 minute ensemble recording features: Vincent Gallo, Nels Cline, Joseph Hammer & Bobb Bruno. As an exercise, FDFS was constructed from independent tracks all recorded at differing times over the course of a 2 year period. No guest musician was able to reference any previous recordings and were simply given loose guidance to aid in their contributions. Housed in a 3.5″ square cardboard box (with 4 page mini booklet) this is a limited edition/hand assembled release.